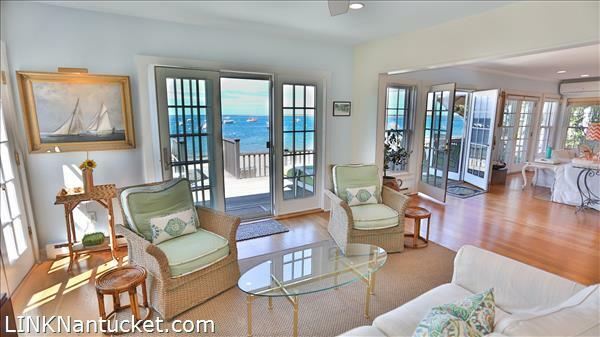 Harborside living at its best! 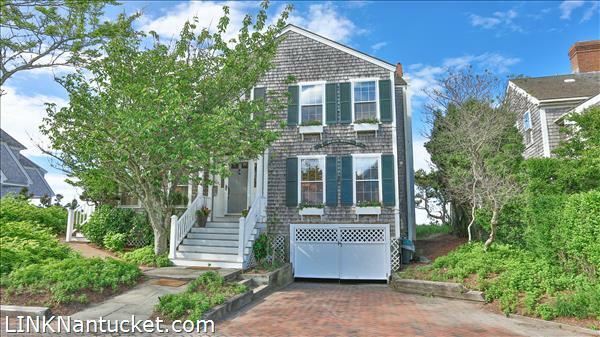 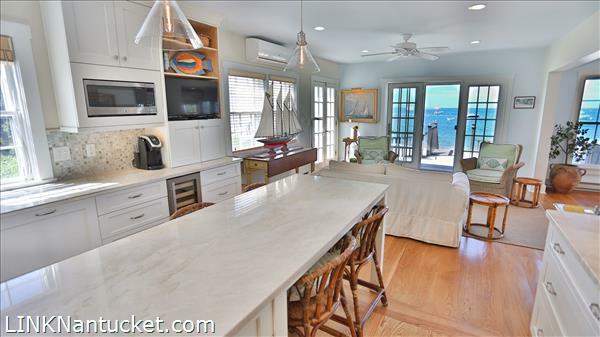 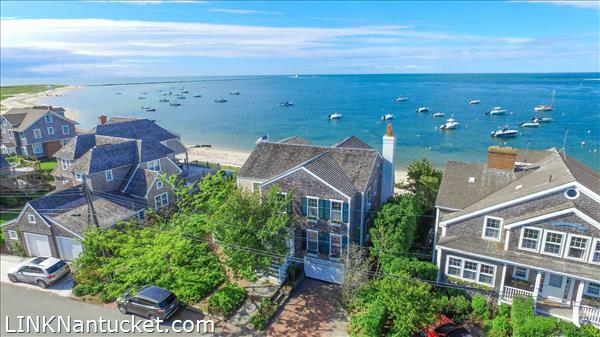 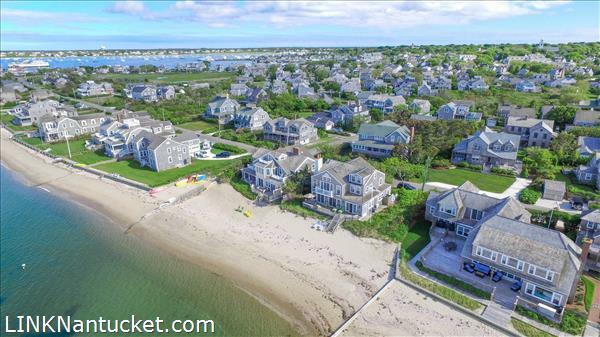 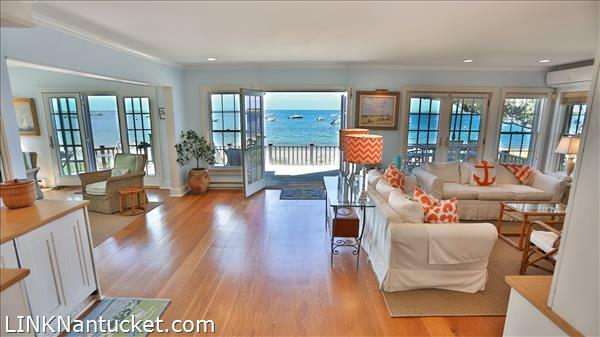 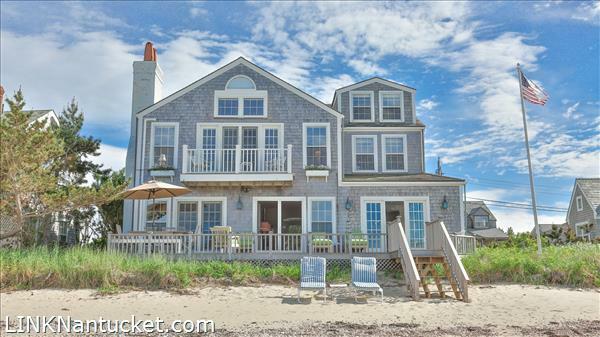 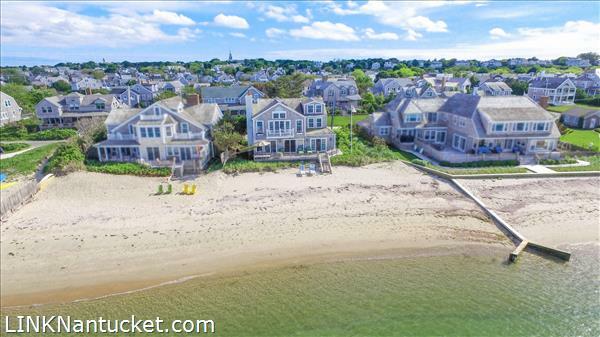 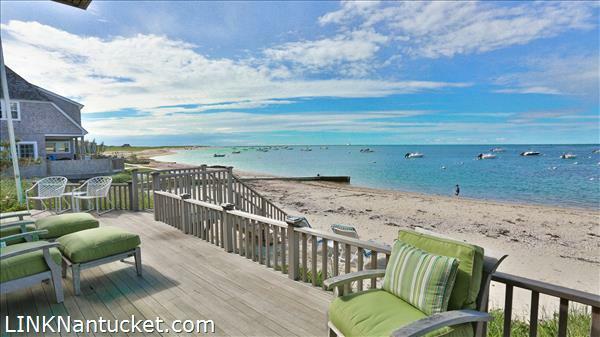 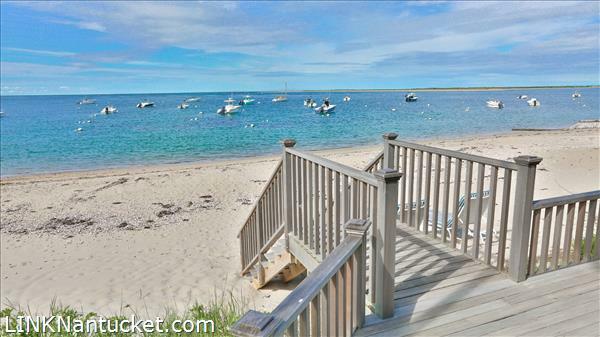 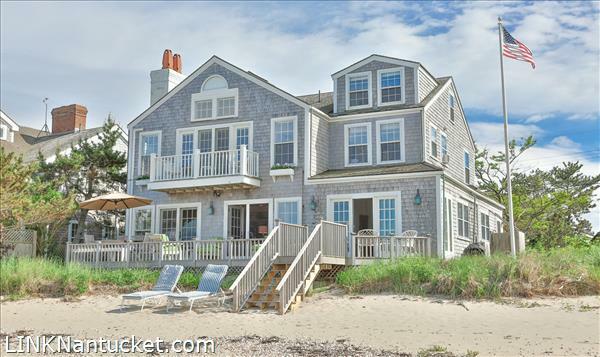 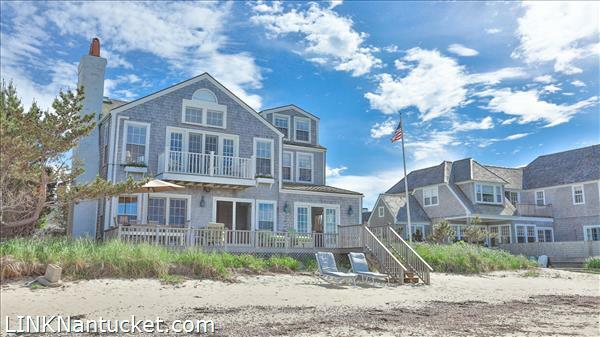 Sited on desirable Hulbert Avenue in the heart of Brant Point, this beachfront home offers a front row experience to an active water view, the 4th of July fireworks and the melodies of the Boston Pops Orchestra’s annual summer concert. 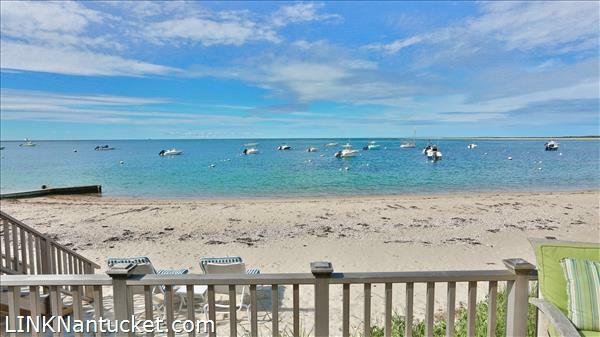 Facing Coatue and Great Point Lighthouse in the distance, the siting affords both sunrise and sunset views and is a very short bike ride to Jetties Beach and pavilion, Brant Point Lighthouse and Town. 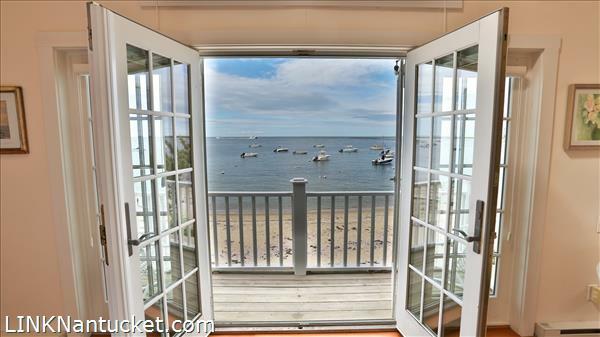 First Floor: A two-story foyer with front-to-back views which serves as the stage for the daily comings and goings of the ferries and sailboats. 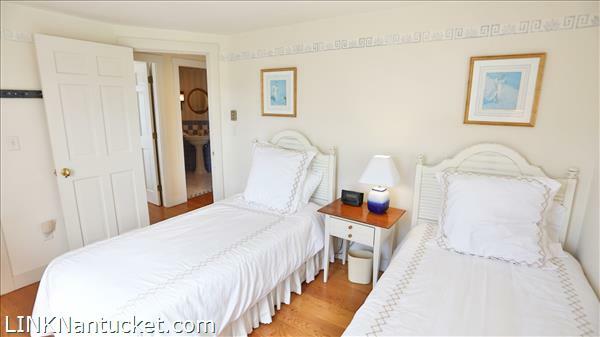 To the right of the main foyer is a guest suite with a private tub/shower bath. 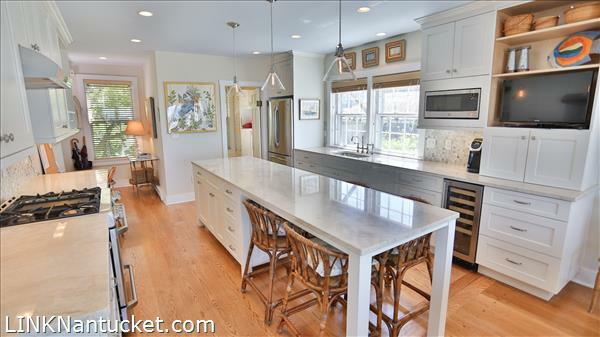 To the left is the newly renovated kitchen offering a long center island with seating for four, multiple work areas and access to the back mudroom/laundry area. 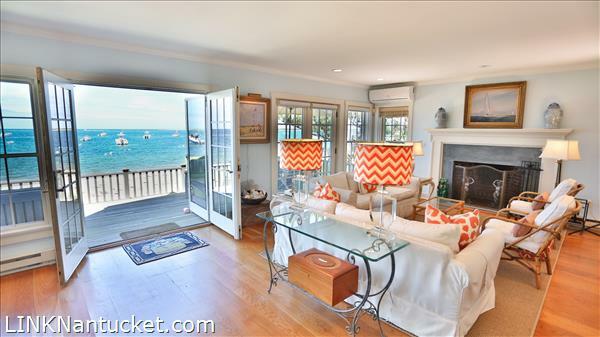 Straight ahead is a versatile space surrounded by windows and doors, an ideal area for a dining table or informal living area. 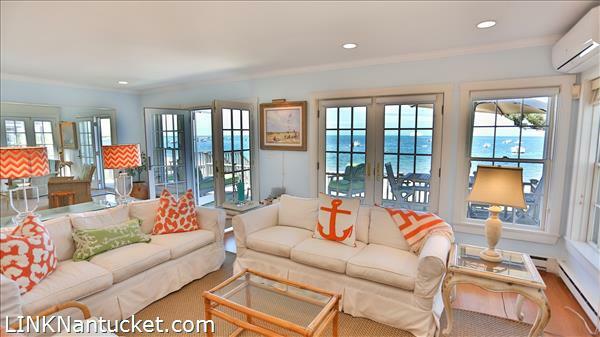 The living room, which has a front row seat to the moored boats bobbing lazily out front, is accented with built-ins, a fireplace and wetbar as well as a split AC unit and multiple doors and windows leading to the deck which spans the entire width of the house. 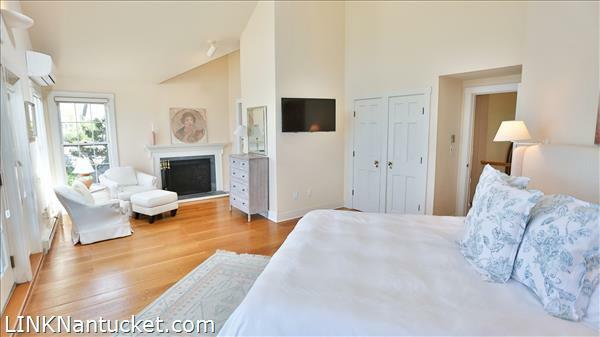 Second Floor: A sweeping staircase leads to the second floor. 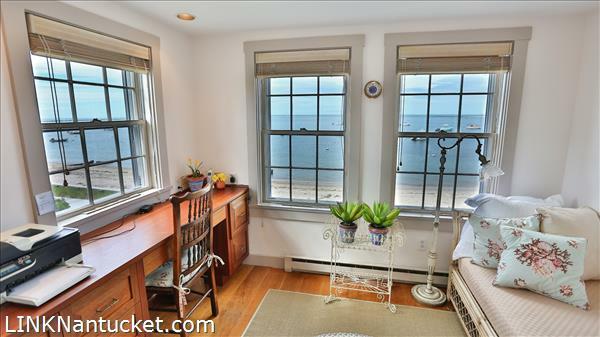 To the left is a bedroom and straight ahead is an office with two walls of windows looking towards both Jetties and to Coatue. 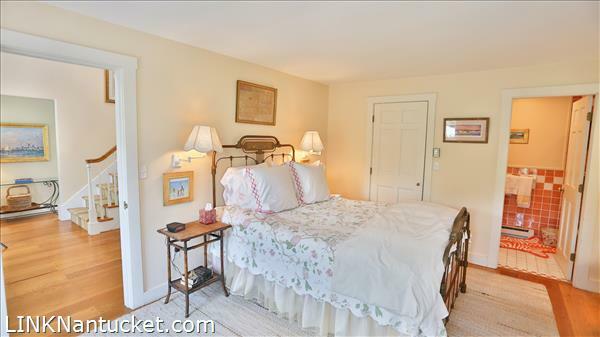 A bathroom with a shower is found out in the hallway. 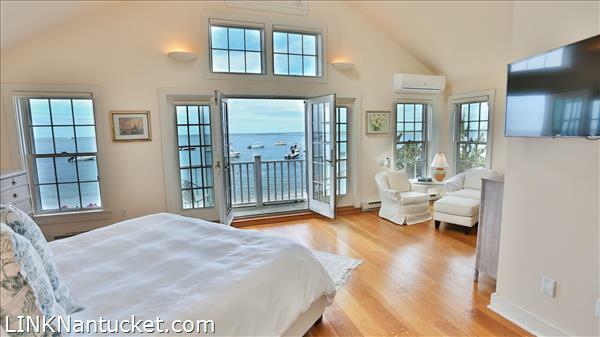 The master bedroom suite is flooded with light and has a vaulted ceiling, two stories of windows, split AC unit, wood burning fireplace and a balcony offering a front row seat to the harbor. 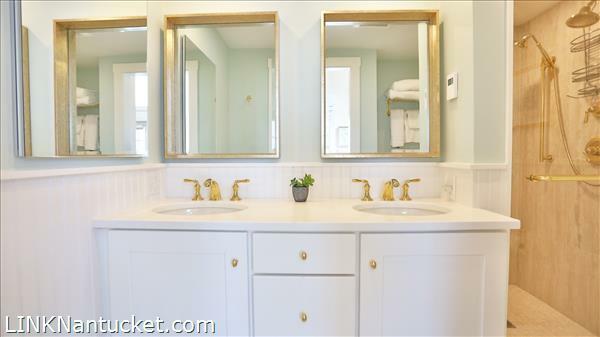 A newly renovated bathroom with a double sink vanity and a glass/tile shower are found in the private bathroom. 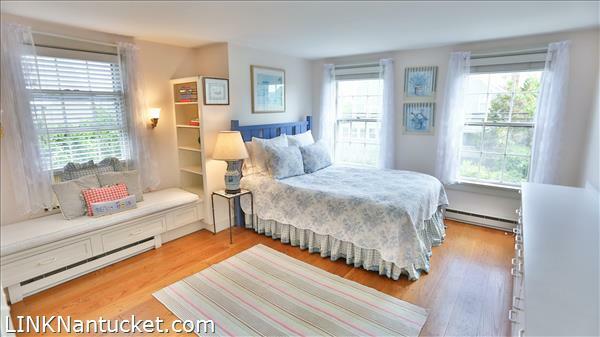 An additional guest bedroom with a window seat and a private bathroom with a tub/shower complete the second floor. 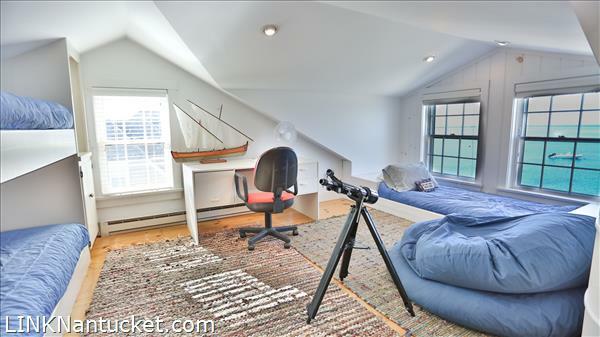 Third Floor: Accessed by ladder-steps, the third floor includes a bathroom with a shower, multiple storage areas and built ins, and three ships bunks offering a crow’s nest view of the comings and goings of the harbor. 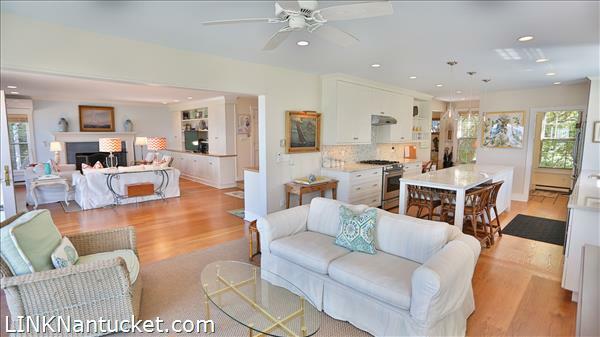 Basement: Space under the road-side of the house is accessed through a garage door and is the ideal spot to store bicycles, a dingy and outdoor furnishings in the off season.